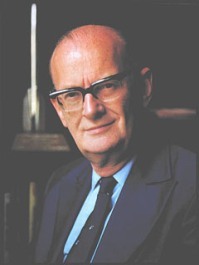 It is sad to note the passing of Arthur C. Clarke. While known to the general public mostly for 2001 – A Space Odyssey, many of us technical types fondly remember his non-fiction, short stories, and other novels. Clarke was a futurist and a visionary (thought he preferred to be called an “extrapolator”) who began writing in the 1930s. In WWII he helped develop radar defenses for Britain, and later chaired the British Interplanetary Society. He was a strong advocate of space development and of technology in general. Clarke’s prose style was wonderful; with short chapters ending with a sentence or two that would literally raise chills. Clarke believed that eventually the only thing of real value will be information. For many industrial plants, the value of the knowledge embedded in the plant hardware already exceeds the value of the hardware itself. Managing this information is a challenge that PAS has made an important part of our business. Clarke is one of my favorite authors. His books (and those of his contemporaries such as Heinlein and Asimov) celebrated science and engineering as valuable providers of human progress, and inspired many of us to enter these fields. Check out how Integrity / DOC4000 saves customers time and money…. We put a new project in our CLX Unit a few years back. On this project we added 25 new and deleted 5 existing tags to the Honeywell DCS. We put in 5 CL programs, debugged them and tested them. A whole bunch of interlock logic points were built and tested. Three months later the plant experienced a power outage that lasted longer than the UPS and batteries could keep everything up. So the all memory was lost on the nodes. When power was restored and it was time to load everything back up, it was discovered that somehow the Auto checkpoint was turned off on some of the nodes. The configuration that was done on the project above was never saved. At this point we had a whole other problem on our hands. We had to figure out what all was changed and put it back in while the Plant is waiting on us to start. Fortunately, we remembered DOC3000 (the DOC4000 predecessor). With this wonderful PAS product, we just called up the Change Manager and went to the import that was completed just after our project was configured. We printed out everything that was added, deleted, or modified in the DCS for the project, found the “missing” data and reloaded them in the system. The new product (DOC4000) does all this and more – I just noticed now that it even tells you what EB file the tag is in on the references page. In any case, the entire configuration was restored in about two hours thanks to DOC3000. Without it we would have had to drag out the project package and start building from scratch. Not to mention re-testing all configuration and Interlock logic. The plant would have been down days vs. hours.